Planning a summer of bbq’s, rosé and ‘all inclusive’ with the family? Think you may need a quick boost to re-energise after all that and a summer with the kids? 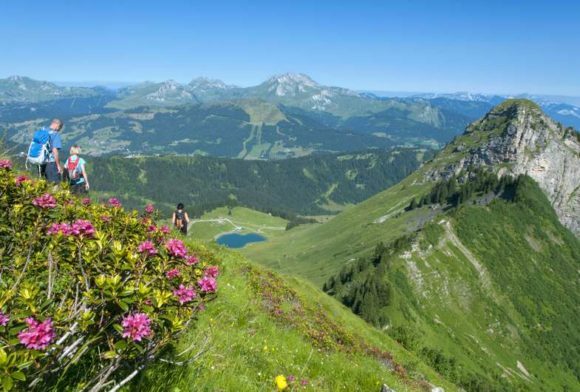 Come and join us over the August bank holiday for a cleansing weekend of wonderful vegan food, fresh healthy juices, outdoor yoga, massage and mountain walks all in the breath taking alpine resort of Morzine. Departure Wednesday 29th August (after breakfast). Option to extend if required. What’s included on the food front? What’s included on the exercise front? One on one hour consultation with the fabulous, Sarah Wragg, a functional nutritionist. Expert group nutritional talks from Sarah Wragg on gut health and adrenal re-set. Essential oil and detox talks from Lindsey. I, Lindsey Rodriguez, have been running Chalet Morzine for nearly 20 years with my ski instructor husband Thierry. Over the last few years, I have become very interested in health, nutrition and how to look after myself naturally, especially during the challenging menopause stage of life. I am currently studying nutrition and over the past 4 years I have been discovering the power of pure essential oils. Learning that its not ‘just what you put in your body’ its what you put on it’ that is also important, has led me to understand how the detoxification of chemicals from my home and family life is so important. I would love to share this knowledge with you and help you cleanse and refresh after the summer, so that you can be in great shape to take on the Autumn months. However, I can’t do this alone and we have an amazing team lined up. We will have Sarah Wragg, a functional nutritionist, conducting one to one individual consultations as well as group talks on gut health and adrenal re-set. We also have Mel Atkinson providing us with all the delicious cleansing vegan food and juices. 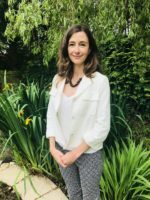 Sarah Wragg BSc (Hons) Nutritional Therapy – is a qualified Nutritional Therapist practicing Functional Medicine. Sarah is a registered member of both regulatory bodies BANT and CNHC and is also a NLP Practitioner/Life coach. 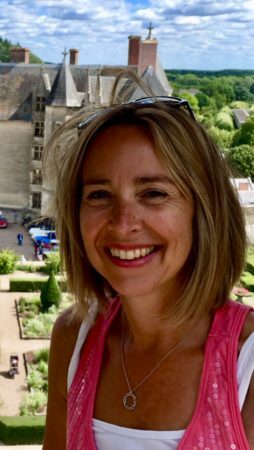 Following a career in the aerospace and defence industry, Sarah’s passion and interest in good health and nutrition led her on a journey to study Nutritional Therapy. Today is a health writer for magazines and tabloid newspapers and speaker. Sarah enjoys educating individuals to better understand how the body works, and using that knowledge to maintain a healthy lifestyle. Since graduating at the start of 2010 Sarah set up her practice ‘Matters For Health’. She has successfully worked with hundreds of clients with varying health concerns at her two clinics in London and from her home in Farnham.. Her clients range from city workers, stay-at-home mums, children, chronically fatigued individuals including clients with lyme disease, to sports enthusiasts to name a few. She keeps up to date with the latest evidence based research in science and nutrition, this includes training with laboratories so that she can offer clients the best clinical tests available. Sarah also enjoys working with the corporate world to help companies enhance the health of their employees. Throughout the retreat you will have two nutrition talks from Sarah. These will be on the gut health journey and how to recharge your adrenal glands/hormones. You will also have a one-to-one nutritional therapy session with Sarah during one of the days. This session will allow you the time to discuss with Sarah any concerns you have surrounding your health, along with your goals. She will send you a plan upon your return home. Mel studied at the Nutritional Healing Foundation to gain a Practioner Diploma and Advanced Diploma in Nutritional Healing and Naturopathy in 2015/2016. As a child Mel suffered with severe eczema, asthma and food allergies. After visiting a Nutritionist in 2014 at a yoga retrea t, not only did her health and wellbeing change dramatically but she found her dream career. She now follows her passion and help others to radically change their health. As a lifelong foodie, passionate chef and former café owner, Mel knows how important food is to our health but also our joy! Food is life and she loves making healthy food as amazing as possible. During the course of the retreat Mel will be providing us with wholesome tasty vegan food as well as salads and juices. Not only will you get to enjoy eating all the healthy and delicious foods that are prepared for you over the weekend but you will also get to witness food demonstrations carried out by Mel. You will learn how to prepare food and juices which are optimum for our digestion, detoxification and for boosting vital energy for a healthier and lighter you. Our beautiful mountain retreat is the perfect opportunity to relax, refresh and re-energise. Help clear stagnant energy with amazing yoga, learn about rooting out toxins in our homes and bodies, understand how to make healthy foods for the family and create a healthy diet and most of all de-stress and regain a positive attitude for the Autumn months to come. Maybe even loose a few stubborn pounds in the process! Sound good ? To secure your space, then please just email me on info@chaletmorzine.com as soon as you can or call me on 0033 671 923377.